Costco has a hot buys section online – it usually has some markdowns and sales but stock had been low recently. It’s back up to 69 items as I write this and there are some crazy deals. Remember that these prices include shipping right in the posted price, and there’s no minimum to order either! 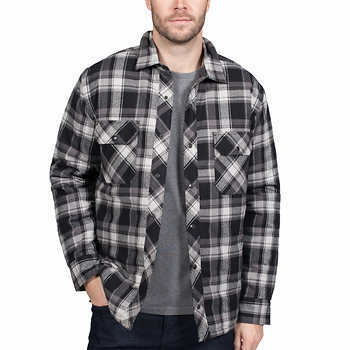 That plaid jacket pictured is on markdown for $9.97 – same as the markdown in store! It’s a great coat! There’s a lot of clothes, electronics and much more! You need to be a member to shop – but can easily ask a member to order these for you and get them shipped to you. Items sell out pretty quickly, so it’s worth checking back here and there. I’ll keep posting when I notice that the section is full again.